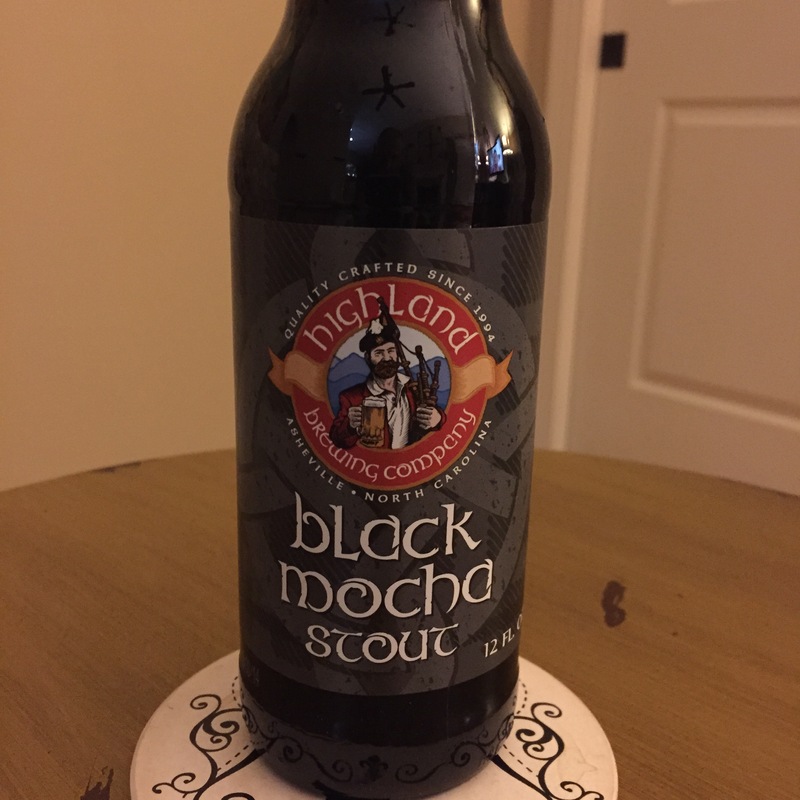 Highland Brewing Company’s Black Mocha Stout has a very malty body which bring out the big flavors of roasted chocolate. This flavor profile is developed by the use of roasted barley in the brewing process. This stout has a deep black color and forms a firm light brown head when poured. All of this combines to produce a stout with a great roasted malt base flavor. The Black Mocha Stout plays to the sweet end of the stout spectrum and really does have the chocolate and coffee tones that give it the mocha name. This is a great after dinner beer or a beer to be served with dessert. Brewed by Highland Brewing Company Asheville, NC.